It’s a simple question with a complicated answer. Reducing the pain, the swelling, and the loss of movement associated with osteoarthritis and rheumatoid arthritis will come down prescribing drugs that start out light and increase in strength and dosage. In medicating arthritis symptoms, ibuprofen is among the first-tier efforts. The first tier in the drug pharmacopeia available is called “the first line” of available arthritis medications. They’re usually available over the counter, are considered fast acting, and are used widely to treat pain and inflammation for both osteoarthritis (OA) and rheumatoid arthritis (RA). First-line arthritis medications include aspirin, ibuprofen (Advil, Motrin), naproxen (Aleve, Naprosyn), other nonsteroidal anti-inflammatory drugs (NSAIDs), and acetaminophen (Tylenol). Corticosteroids such as prednisone (Deltasone, Cortan, Sterapred) are also used as fast-acting relief for RA patients. Because DMARDs require weeks or months to take effect, they are used in combination with faster-acting first-line drugs. 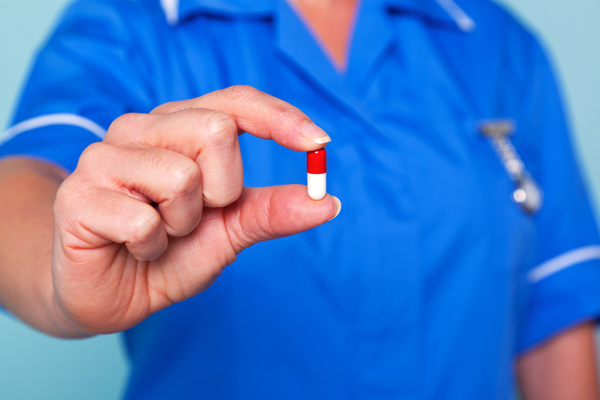 DMARDS have more potent side effects, and their use should be carefully monitored. Side effects vary, depending on the DMARD. These types of arthritis medications slow down the inflammatory process by interfering with specific chemical messengers of the immune system. These are the most potent of all RA medications and among the most expensive, with equally powerful side effects that need to be carefully monitored. These drugs are used if traditional therapy from first- and second-line drugs fails to adequately control the progression of RA. 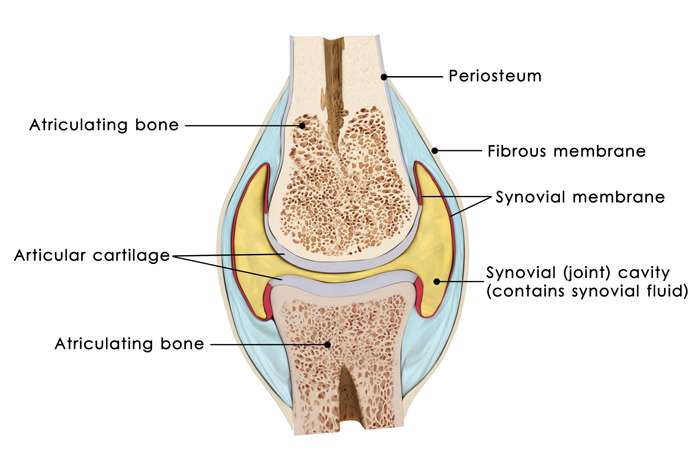 When a knee lacks sufficient lubricating fluid (synovial fluid), due to mild-to-moderate arthritis or age, doctors may inject a thick viscous substance (hyaluronic acid) into the joint space to provide temporary lubrication and pain relief. This process, known as viscosupplementation, is largely used for OA. Although the U.S. Food and Drug Administration (FDA) has officially approved the use of viscosupplements only for the relief of knee OA, it’s quite common for physicians to recommend these injections for ankle or elbow pain. Viscosupplements may provide effective and long-lasting pain relief (up to six months) in 90 to 95 percent of those with mild-to-moderate knee osteoarthritis. For those with more severe OA, the injections are significantly less effective. Lidocaine patch (Lidoderm): The lidocaine patch is a prescription-only patch that contains a local anesthetic and is now widely used by arthritis patients for flare-ups of back pain, and for pain around large joints. Because the patch is relatively large (5 x 6 inches), it is not suitable for smaller joints, such as the finger or wrist. The patch may remain in place for up to 12 hours in any 24-hour period. However, it is expensive, with a pack of 30 costing nearly $300 in some cases. Fentanyl patch (Duragesic): These prescription-only transdermal patches are powerful, but use with caution. They contain fentanyl, a very potent narcotic, and are intended as a long-term way to help manage severe, chronic pain. The slow-release patches (eight to 12 hours) are designed to be changed every three days. Celadrin/cetylated fatty acids: Some research suggests that a topical cream that contains cetylated fatty acids (CFAs) rapidly eases the pain of OA and improves range of motion and mobility. Though researchers are unsure exactly how CFAs work, they believe they reduce chronic inflammation by reducing the release of the key immune system messengers interleukin-1 and leukotriene B4. Drugs used for other purposes: Researchers also are studying drugs approved to treat other diseases for use in arthritis, including drugs normally used to treat osteoporosis. Some evidence suggests that the bisphosphonate drug risedronate may protect bone in patients with knee OA, while another bisphosphonate, zoledronic acid, may prevent bony erosions in RA. Some research suggests that cholesterol-lowering statin drugs may reduce the risk of developing RA, while other studies have suggested that RA patients who took statins had significantly lower disease activity, lower levels of the inflammatory marker C-reactive protein, and fewer swollen joints, compared to those who weren’t taking the medications. Although doctors can give drugs—such as the biological response modifier anakinra—to block the action of interleukin-1 and shut down the release of cartilage-destroying enzymes, researchers may soon teach joint cells to make their own protective drugs. Investigators have inserted genes into the joint cells of animals that make a harmless protein that parks itself on the outer surface of key immune system cells, thus preventing them from “switching on” and releasing their destructive enzymes. Research on gene therapy for arthritis continues. Drugs targeting other cytokines: Drugs like tocilizumab block the action of interleukin-6, and scientists are developing new medications—such as clazakizumab, sarilumab, and sirukumab—that also affect this same biologic pathway in differing ways. Research suggests that experimental drugs that block other inflammatory cytokines, including interleukin-17 and interleukin-20, also may help treat RA. B-cell depletors: While Rituxan is already approved for moderate-to-severe rheumatoid arthritis, other B-cell-depleting drugs remain under study. Like Rituxan, the new drugs target B-cells, which are cells of the immune system that are believed to play a role in causing inflammation in rheumatoid arthritis. Small molecule inhibitors against cytoplasmic kinases: Tofacitinib is the first JAK inhibitor already approved for RA treatment. Several others are under investigation in the JAK family, as well as agents against other kinases. adalimumab, anti inflammatory, anti inflammatory drugs, arthritis, arthritis disease, back pain, bone, c reactive protein, cartilage, certolizumab, cetylated fatty acids, cholesterol, cholesterol lowering, chronic inflammation, chronic pain, corticosteroids, dmards, drugs for rheumatoid arthritis, elbow pain, food, gene therapy, golimumab, immune system, inflammation, interleukin 1, kineret, knee osteoarthritis, leukotriene b4, mobility, nsaids, osteoarthritis, osteoporosis, pain, pain relief, protein, ra, ra treatment, rheumatoid, rheumatoid arthritis, rheumatrex, severe chronic pain, severe rheumatoid arthritis, side effects, statin drugs, statins, treat osteoporosis, types of arthritis, viscosupplementation, zoledronic acid. I thought you might be interested in this article on https://universityhealthnews.com: Arthritis Medications: Which Drugs Will Your Doctor Prescribe?